Hemophilia is a rare disorder in which the blood does not clot normally. It is usually inherited. Hemophilia usually occurs in males. If you have hemophilia, you have little or no clotting factor. Clotting factor is a protein needed for normal blood clotting. Without it, you may bleed for a long time after an injury or accident. You also may bleed into your knees, ankles, and elbows. Bleeding in the joints causes pain and, if not treated, can lead to arthritis. Bleeding in the brain, a very serious complication of hemophilia, requires emergency treatment. The main symptoms of hemophilia are excessive bleeding and easy bruising. Blood tests can tell if you have it. The main treatment is injecting the missing clotting factor into the bloodstream. You may need it on a regular basis, or just when bleeding occurs. 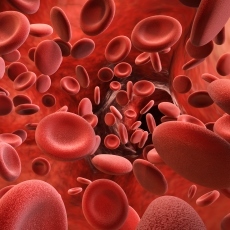 Article: Safety of recombinant coagulation factors in treating hemophilia.